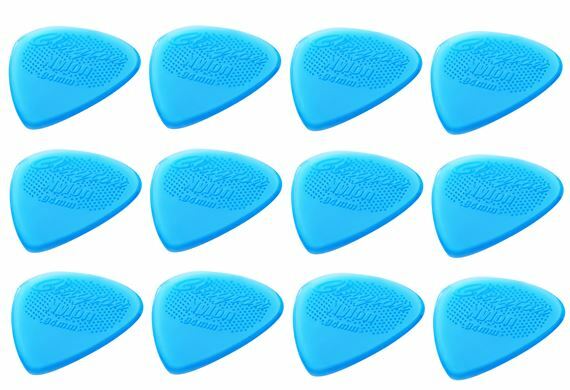 Order your Clayton Frost-Byte Guitar Picks from AMS and enjoy Fast & Free Shipping. Get the Best Deal with our Lowest Price Guarantee & Great Customer Service! Get ahold of Clayton Frost-Byte picks and listen to your playing sound cooler than ever! Made of nylon with a grip so amazing, it will feel like your pick is frozen onto your fingers! For $4 for a dozen, these are pretty good picks. They have rough edges but it's not too bad. Overall recommend. Plus, they look cool. In over 60 years of playing guitar I think I've tested every pick ever produced. This is my absolute favorite ever. I use the orange Snarling Dogs pickups and saw these when I was looking for a couple of extras to add to my last order, so I figured I'd give them a try. I think the material may be a little more durable and there's a nice edge on them. I dig 'em. I like a pretty flexible pick that will let me strum softly, but also have enough 'bite' to play lead. This is the best pick I've found.